I applied for Tier 5 visa (Temporary Worker Government Authorized Exchange). I got a refusal under rule 245ZO (Maintenance) but, surprisingly in the last paragraph, two rules of not attending an interview & not providing tuberculosis certificate were added although they are not needed in my case in principle. Will it be beneficial to go for administrative review, at least to eliminate those 2 unjustified rules? In principle, is it better to be refused under one rule (245ZO) than being refused on 3 rules (two of them are general grounds of refusal)? 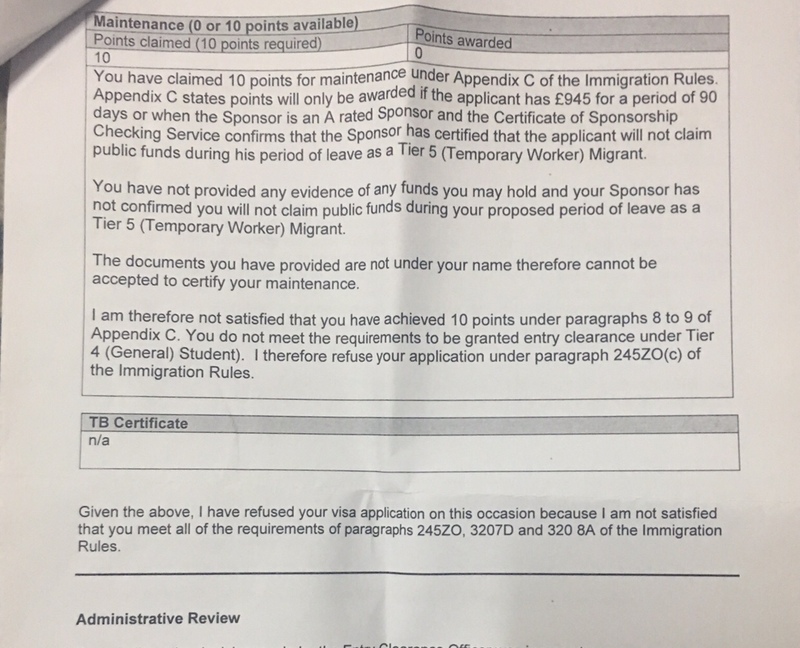 If administrative review was unsuccessful, would that be considered another refusal in my immigration history? 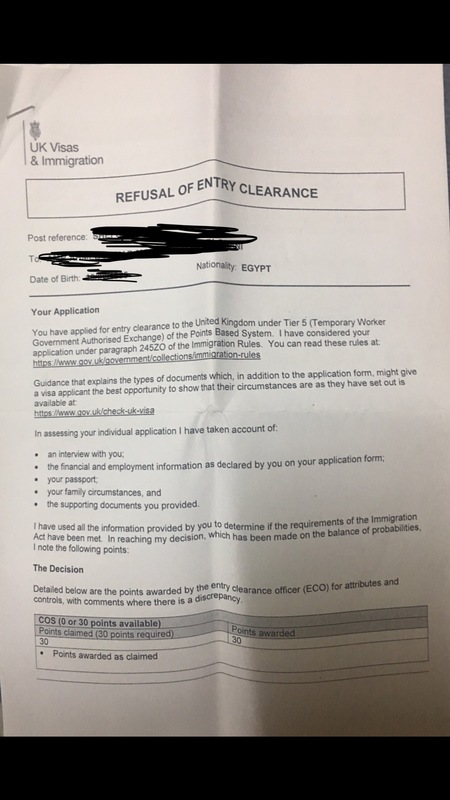 I have refused your visa application... because I am not satisfied that you meet all of the requirements of paragraphs 245ZO, 3207D and 320 8A of the Immigration Rules. That doesn't say that you failed all three tests. It just says that you didn't pass them all (you passed two out of three), so you didn't get the visa. Not the answer you're looking for? Browse other questions tagged uk visa-refusals working-visas or ask your own question.